Moist and delicious red wine brownies are one of the easiest wine desserts you can make. 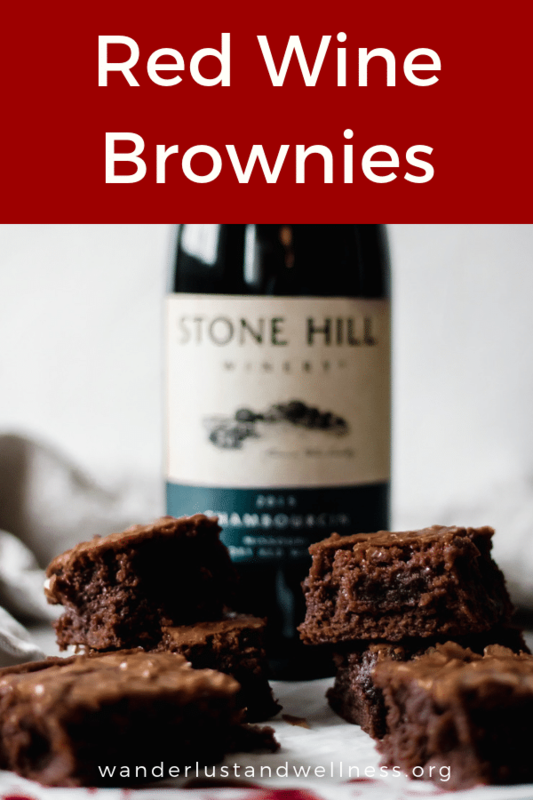 Using a brownie mix, just swap in a medium-bodied red wine, like Stone Hill Winery’s Chambourcin, and you’ll have a chewy, red wine brownie ready to serve! This sponsored post is in partnership with Missouri Wines. All thoughts and opinions expressed herein are my own and not influenced by the organization and its affiliates in any way. 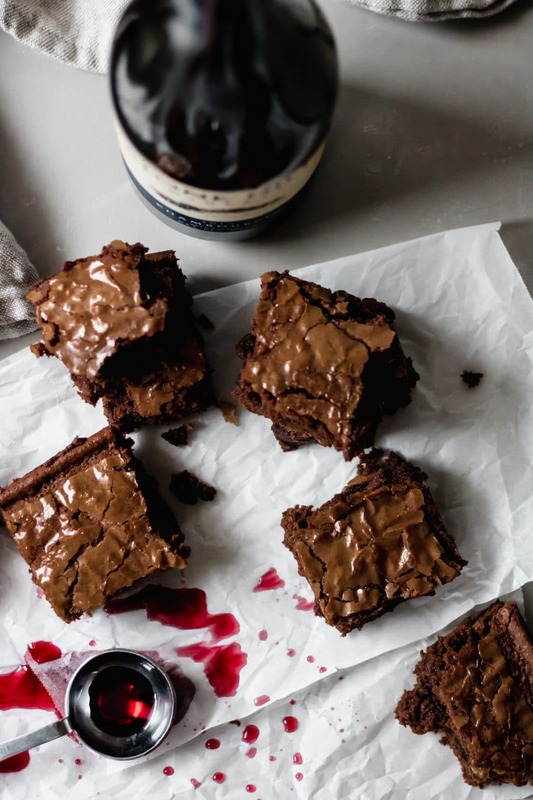 What are red wine brownies? 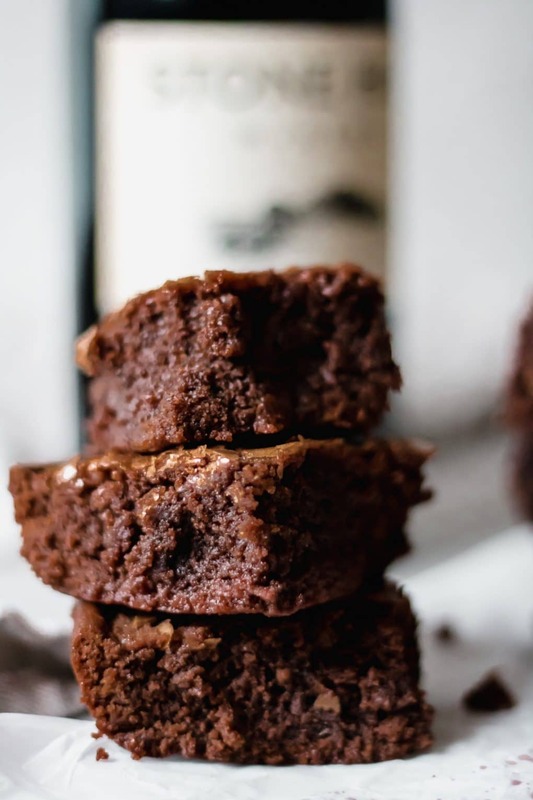 Red wine brownies are simply brownies made with red wine. They have a subtle red wine flavoring to them that pairs well with the deep chocolate flavors. You can either make them homemade or use a box brownie mix and swap in red wine for the water as we’ll do in this recipe. As you know, I like to keep my desserts simple. So there’s no shame in my box brownie mix game! Plus, if you need a gluten-free option, using a gluten-free brownie mix is perfect for these red wine brownies! No complicated ingredient swaps. 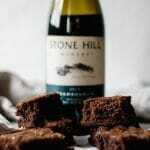 What type of red wine goes well with red wine brownies? Because the brownie mix is already fairly sweet, using a dry red wine is optimal. For this recipe, I’m featuring a medium-bodied Chambourcin from Stone Hill Winery. This dry red wine presents fruity and earthy tones, which pairs perfectly with the chocolate in the brownie mix. Mix the ingredients together and then bake per the box directions! That’s it! Check out these other easy bar desserts!